These terms and conditions apply to the use and supply of products ordered from this website. Access to and use of this website and the products and services available through this website are subject to the following terms, conditions and notices. By using this website, you are agreeing to all of the Terms of Service, as may be updated by us from time to time and recommend that you check these each time you revisit the site. Access to this website is permitted on a temporary basis and city-shredding.com (City Shredding Services Ltd) shall have the right in its absolute discretion at any time and without notice to amend, remove or vary the terms and conditions and/or any page of this website. We will not be liable if for any reason this website is unavailable at any time or for any period. From time to time, we may restrict access to some parts or this entire website. If you do not agree with the terms and conditions, please do not use the website. Should you require any further information regarding these terms and conditions, contact – sales@city-shredding.com. Should you wish to know what personal information we hold about you on our databases under the Data Protection Act 1998, or would like it deleted, please write to us at our Head Office stating your full name and address, email – sales@city-shredding.com or call 020 7258 7878. A small administrative charge will be made for fulfilling this request. You must not misuse this website. You will not: commit or encourage a criminal offence; transmit or distribute a virus, trojan, worm, logic bomb or post any other material which is malicious, technologically harmful, in breach of confidence or in any way offensive or obscene; hack into any aspect of the Service; corrupt data; cause annoyance to other users; infringe upon the rights of any other person’s proprietary rights; send any unsolicited advertising or promotional material, commonly referred to as “spam”; or attempt to affect the performance or functionality of any computer facilities of or accessed through this Website. Breaching this provision would constitute a criminal offence under the Computer Misuse Act 1990. city-shredding.com (City Shredding Services Ltd) will report any such breach to the relevant law enforcement authorities and disclose your identity to them. The intellectual property rights in all software and content made available to you on or through this website remains the property of city-shredding.com (City Shredding Services Ltd) or its licensors and are protected by copyright laws and treaties around the world. All such rights are reserved by city-shredding.com (City Shredding Services Ltd) and its licensors. You may store, print and display the content supplied solely for your own personal use. You are not permitted to publish, manipulate, distribute or otherwise reproduce, in any format, any of the content or copies of the content supplied to you or which appears on this website nor may you use any such content in connection with any business or commercial enterprise. You shall not modify, translate, reverse engineer, decompile, disassemble or create derivative works based on any software or accompanying documentation supplied by city-shredding.com (City Shredding Services Ltd) or its licensors. city-shredding.com (City Shredding Services Ltd) reserves the right to close accounts if any user is seen to be using proxy IPs (Internet Protocol addresses) in order to attempt to hide the use of multiple accounts or disrupts any of our services in any way. If you use multiple logins for the purpose of disrupting the community you may have action taken against all of your accounts. city-shredding.com (City Shredding Services Ltd) retains the right to refuse any request made by you. If your order is accepted we will inform you by email. When placing an order you undertake that all details you provide to us are true and accurate, that you are authorized to place your order and that there are sufficient funds to cover the cost of the goods. The cost of foreign products and services may fluctuate. All prices advertised are subject to such changes. When you place an order, you will receive an acknowledgement e-mail confirming receipt of your order: this email will constitute acceptance of your order. Only those goods listed in the confirmation e-mail sent at the time of dispatch will be included in the contract formed. City Shredding Services Ltd reserves the right to change prices on its site without prior notification and these become immediately effective upon publication. Whilst we try and ensure that all details, descriptions and prices which appear on this website are accurate, errors may occur and if you are not entirely satisfied with your goods, then please contact us, within 7 working days from date of delivery on 020 7258 7878 or email sales@city-shredding.com. By Cheque – please call us on 020 7258 7878 to place your order. N.B orders will not be dispatched until cheques have cleared. To set up an account please call 020 7258 7878 or email sales@city-shredding.com for more information. You have the right to withdraw from the purchase of any items on our website from the time of ordering to within seven working days of the day after the date the item is delivered, under the United Kingdom’s Distance Selling Regulations. To cancel your purchase, please package the relevant item securely and send it to us within seven working days following the date that the item was delivered to you. Unless we have delivered the item to you by mistake, or if it is defective, you will be responsible for the costs of returning the items to us. If we have agreed to carry out any enhanced or special services carried out as part of the delivery process you will not be able to cancel these. The material displayed on this website is provided without any guarantees, conditions or warranties as to its accuracy. Unless expressly stated to the contrary to the fullest extent permitted by law city-shredding.com (City Shredding Services Ltd) and its suppliers, content providers and advertisers hereby expressly exclude all conditions, warranties and other terms which might otherwise be implied by statute, common law or the law of equity and shall not be liable for any damages whatsoever, including but without limitation to any direct, indirect, special, consequential, punitive or incidental damages, or damages for loss of use, profits, data or other intangibles, damage to goodwill or reputation, or the cost of procurement of substitute goods and services, arising out of or related to the use, inability to use, performance or failures of this website or the linked sites and any materials posted thereon, irrespective of whether such damages were foreseeable or arise in contract, tort, equity, restitution, by statute, at common law or otherwise. We will be responsible for any losses you suffer as a result of us breaching these conditions to the extent that such losses were reasonably foreseeable to both you and us at the time that you either you commenced using the website or bought goods from us using the site. We will not be responsible for any business loss (including loss of profits, revenue, contracts, anticipated savings, data, goodwill or wasted expenditure) or any other indirect or consequential loss that is not reasonably foreseeable to both you and us at that point in time. Nothing in these conditions is intended to limit our liability for death or personal injury caused from our negligence, fraud or fraudulent misrepresentation. You agree to indemnify, defend and hold harmless city-shredding.com (City Shredding Services Ltd), its directors, officers, employees, consultants, agents, and affiliates, from any and all third party claims, liability, damages and/or costs (including, but not limited to, legal fees) arising from your use of this website or your breach of the terms and conditions. Once we have received your payment, we aim to dispatch your purchases to you within 3-7 working days from the date of the order. You will be notified if any item is not in stock and will be given the option to cancel, take part of the order if several items have been ordered or wait until all the items ordered are available for delivery. To return a faulty product please email a member of staff at sales@city-shredding.com for return authorization and give the reason for your return, and the action required, refund or replacement, include your full contact information and order number if available with your return, and wrap the package securely. (PLEASE SEND RECORDED DELIVERY ONLY). The cost of the return postage will be the customers’ liability. We will replace faulty products with the same product or refund back if the product is no longer available. Please note that our returns policy is only valid for 28 days from receipt of goods. If you are not happy with any product you have ordered and received from ourselves, then you may return them to us within 7 days by RECORDED DELIVERY (as described above) for an exchange, credit note or refund. If you choose to exchange the unwanted item for an exchange totaling higher than your original, then you will be liable to pay the difference. Postage costs do not constitute as part of the credit note. All non-faulty returned goods will only be accepted if in the same condition as they were sent out, i.e. in original packaging with all relevant materials enclosed. Any non-faulty returns that are not received in this way will be sent back to you at your cost or held pending contact. You will be emailed regarding this status. The above terms and conditions constitute the entire agreement of the parties and supersede any and all preceding and contemporaneous agreements between you and city-shredding.com (City Shredding Services Ltd). Any waiver of any provision of the terms and conditions will be effective only if in writing and signed by a Director of city-shredding.com (City Shredding Services Ltd). 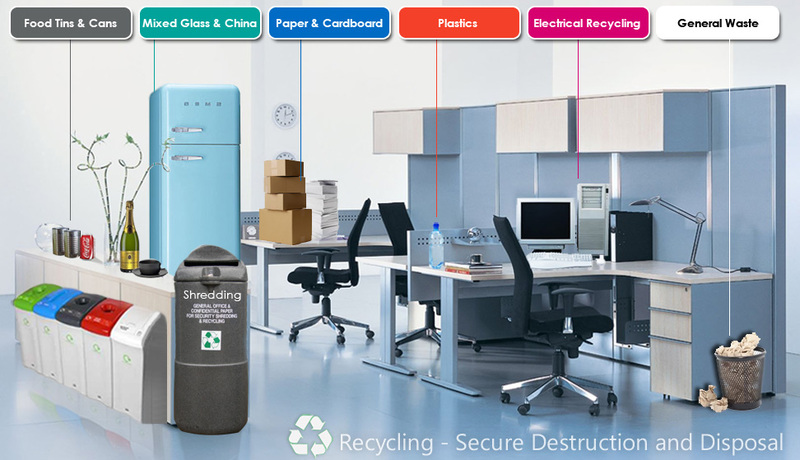 Call: 020 7258 7878 or Email: sales@city-shredding.com.